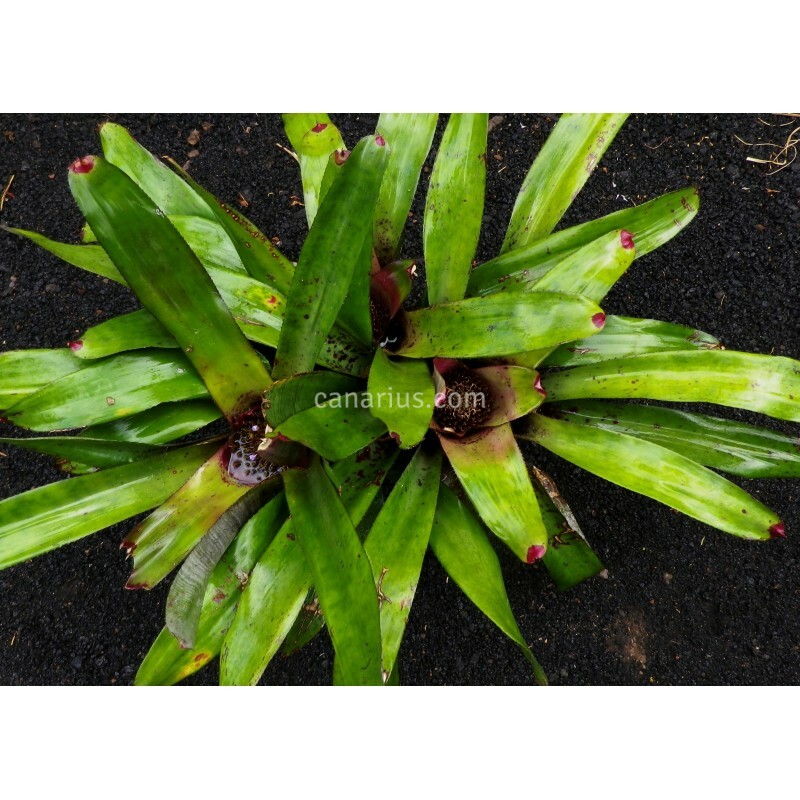 This neoregelia will grow an imposing, elegant rosette, up to 50 cm wide with a colourful violet blush in the centre. 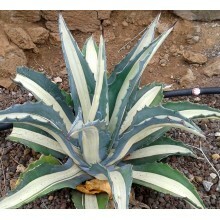 Darker maroon spots cover the whole plant. It is a "mistery cross" probably originated in Holland in the 50's. 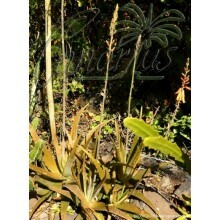 It has some obvious blood and cold-hardiness of Neoregelia concentrica. How is Neoregelia x Takemura Princeps ? This neoregelia will grow an elegant rosette, up to 50 cm wide with a colourful violet blush in the centre. 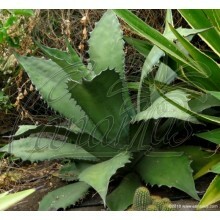 Leaves are long, olive-green, with widely spaced short spines. Darker maroon spots cover the whole plant. It is a "mistery cross" probably originated in Holland and then registered in the USA in 1962. 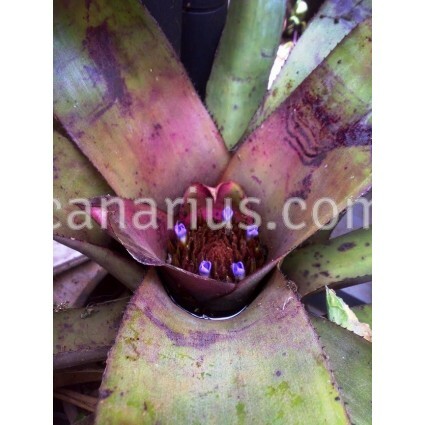 It has some obvious blood of Neoregelia concentrica. It possibly has nothing to do with the hybridizer Takemura, but in those years many concentricahybrids were recognized as "takemuras". According to the Bromeliad Cultivar Register, Neoregelia x Takemura Princeps is "Small to medium in dull green marked w/very dark purple spots, bars and splotches. - Elmore says, "Smaller narrower more concentrica like w/a very distinctive recurving leaf shape - turns very dark and purplish in strong light - turns vivid purple in the center when blooming". Bob Work of Miami said, "Not a Richter hybrid - Carribean Gardens of Naples, FL obtained plants of an unknown cross from Holland in the early 60's. Hazel Mueller of Miami bought three of them, all labeled 'Princeps' - Ralph Davis later obtained and named the plant but it was not the 'Vulkan' X johannis cross from Richter-Takemura-Davis - He named that plant 'Japanese Vulkan' - a name which has not survived to today". Much mystery! 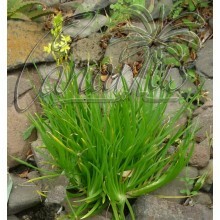 - See article Takemura Group"
We offer one rooted plant of Neoregelia x Takemura x Princeps, of about 20-30 cm, , able to flower in one or two years.